‘Boom’ and the Swiss Eurovision selection just gets a great dance song courtesy of Michael James from Spain via Northern Ireland. People forget that you get 3 minutes to sell a song to Europe and 3 minutes to get into their head! Hey mission accomplished as far as ‘Boom’ goes. This is a ‘song bomb’ as my friends would say as once it explodes in your head it is there forever! A great retro feel with the electronic keyboards yet a modern dance filler. I can see a Eurovision audience in Vienna busting a move (or of the older fan busting a hip) as you can’t help but get tapping a foot or shaking a shoulder to this song. 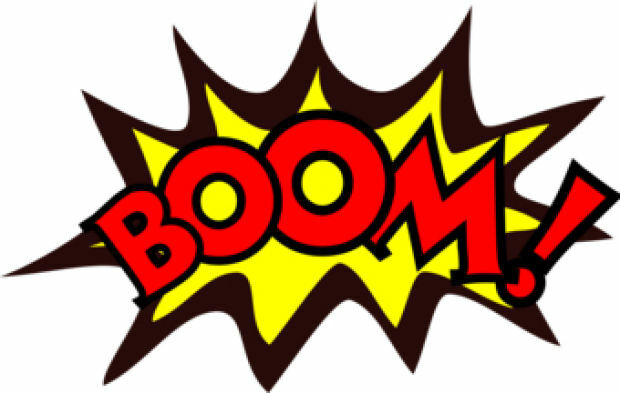 ‘Boom’ is written by Michael James Down, Primoz Poglajen and final arrangement by Niklas Hast. Michael and Primoz have had songs in countless national Eurovision finals across Europe with other singers and have come second too many times to mention. Can they make it on their own this time around? For me the first song in the Swiss selection that I can remember after one playing of the song and that my dear friends is what you need at Eurovision! Liking this song a lot! A key change would be perfect for this song! !